The innovation project MONICA will demonstrate how cities can use the Internet of Things to deal with sound, noise and security challenges at big, cultural, open-air events. A range of applications will be demonstrated in six major European cities involving more than 100.000 users in total. Imagine sound zones at outdoor concerts in the city where the sound experience is enhanced for those who enjoy the music and the noise mitigated for those who don’t. Visualize intelligent cameras deployed at city festivals which, while preserving privacy, estimate crowd size and density in real time, notifying security staff of any unusual crowd behavior. 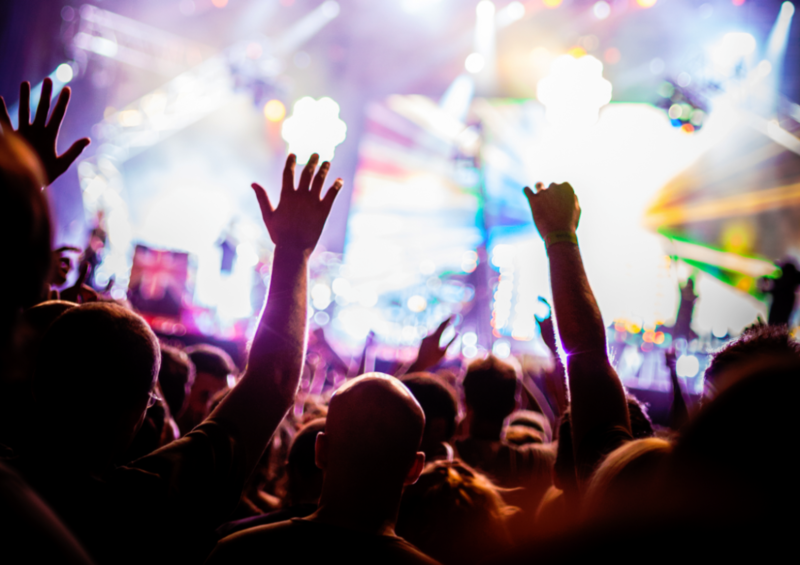 Or imagine smart wristbands and mobile apps, allowing people to interact with each other and the performers, informing people of the best way out of the venue or guiding them to the nearest exit in case of an emergency. These are some of the several applications which MONICA will demonstrate at minimum 16 cultural events, taking place in Copenhagen, Bonn, Hamburg, Leeds, Lyon and Torino. The events include concerts, festivals, city and sport events and involve the use of multiple, wearable, mobile and fixed devices with sensors, such as wristbands, smart glasses, video cameras, loudspeakers, drones and mobile phones. “MONICA will demonstrate a large-scale IoT ecosystem which uses a multitude of different sensors, networks and heterogeneous data and a cloud-based platform capable of offering multiple applications with at least 10.000 simultaneous end users, making it a massive IoT platform demonstration”, explains Dr. Markus Eisenhauer from Fraunhofer FIT who coordinates the project, consisting of 28 organizations from nine European countries. Each of the six pilot cities will identify a number of relevant applications that they wish to deploy for the chosen events, based on their current challenges. Whereas some will emphasize control of sound, and others optimize security or service, all pilots will actively involve the end users, engaging more than 10.000 people in the evaluation and innovation process, from authorities, organizers to citizens. “The citizens will be involved in creating useful solutions to the conflict between cultural attractiveness and nuisance which often exists when carrying out big city events in the inner city. And to ensure that needs and regulations are met in terms of trust, privacy and data security, MONICA will engage the local authorities and organizers in validation of the IoT services so that MONICA can become a Best Practice of IoT deployment”, concludes Dr. Markus Eisenhower. The result is an IoT platform based on open architecture and standards which can be incorporated with existing smart city systems, be replicated to fit other settings or used to develop new smart city applications. The Centre for Research and Technology Hellas (CERTH) has undertaken the development of specialized algorithms for human and object recognition as well as for crowd density estimation and abnormal behavior detection, in the different venues of the events. Moreover, the CERTH research team is responsible for the semantic representation of the MONICA ecosystem through the design, the development and the adaptation of ontologies. Finally, CERTH participates in the integration of the final platform (System Integration) as well as in the preparation and installation of the individual solutions at the pilot events (Pilot Preparation, Deployment and Execution). The MONICA project is a 36-month Innovation Action, co-funded by the European Commission through the Horizon 2020 Framework Programme for Research and Innovation, under Large Scale Pilots, Objective Pilot 3: “Wearables for smart ecosystems”. EU contribution: EUR 15 million. Duration January 2017 through December 2019. Pilots and events include: TIVOLI Copenhagen (Friday rock concerts), Bonn (Rhein in Flammen, Pützchens Markt), Hamburg (Hamburger Dom and port festival), Leeds (cricket and rugby games at Headingly Stadium), Lyon (Festival of Lights), Torino (Kappa FuturFestival, Movida).